In the summer 2003 I was testing my modest Swedish language knowledge directly in Sweden. In the first week I went by train along the Inland Railway to the north and for some days with a trolley on an inoperative track. 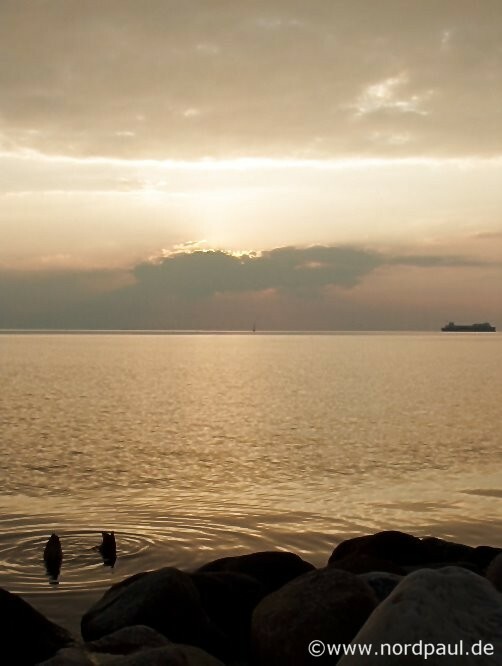 In the second week I spent my time on Gotska Sandön and in Visby / Gotland at the Baltic Sea. The Journey: First I went by the night train "BerlinNightExpress" from Berlin to Malmö, then by the high-speed train "X2000" to Stockholm. 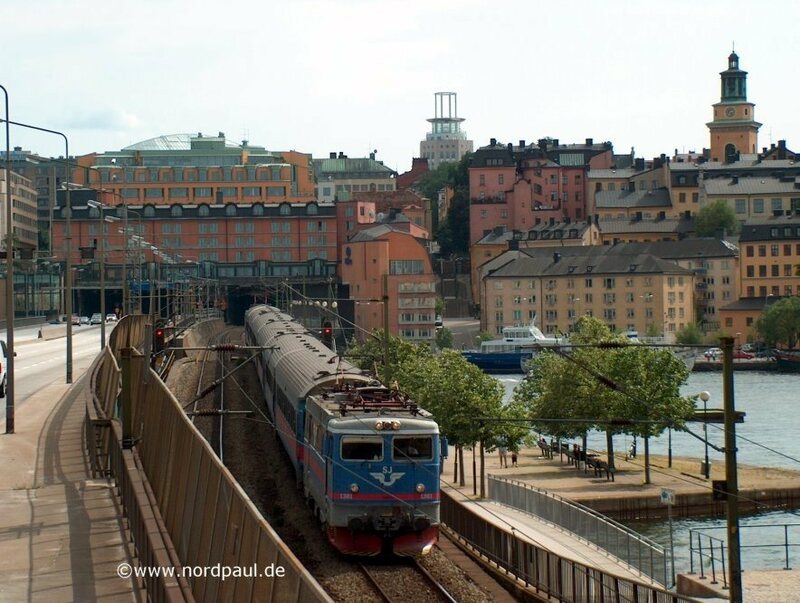 From the Swedish capital I continued to travel with the train to Östersund. 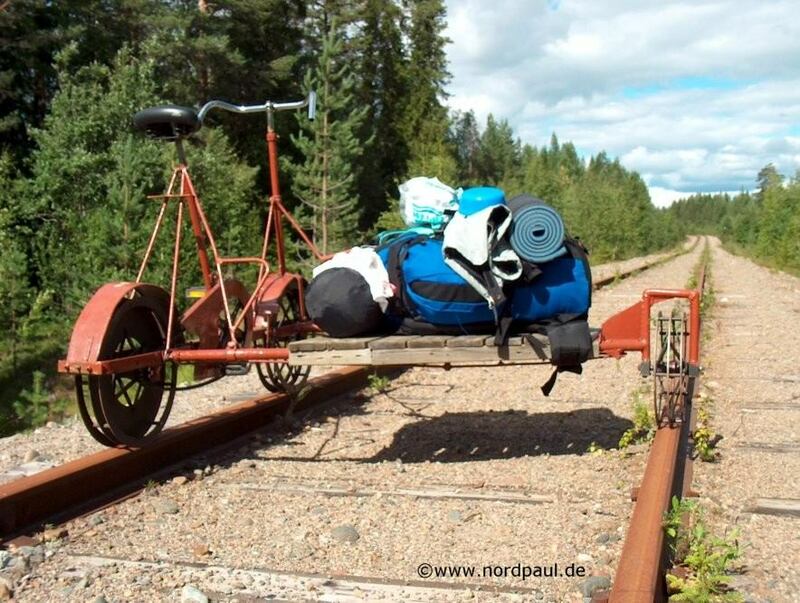 And finally after one night in the tent I started with the Inland Railway Line (Inlandsbanan) into the north. 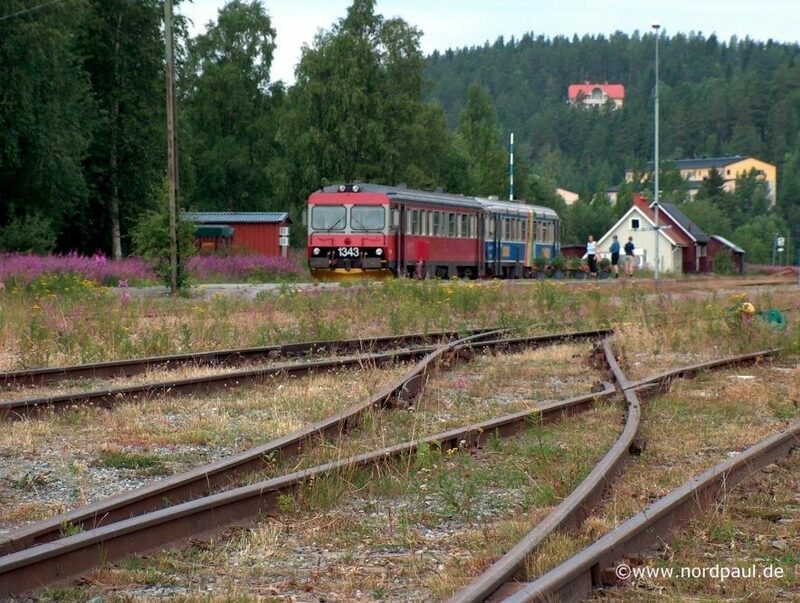 The Inlandsbana is a tourist route, on which every day in the summertime a train starts in each direction between Östersund and Gällivare. 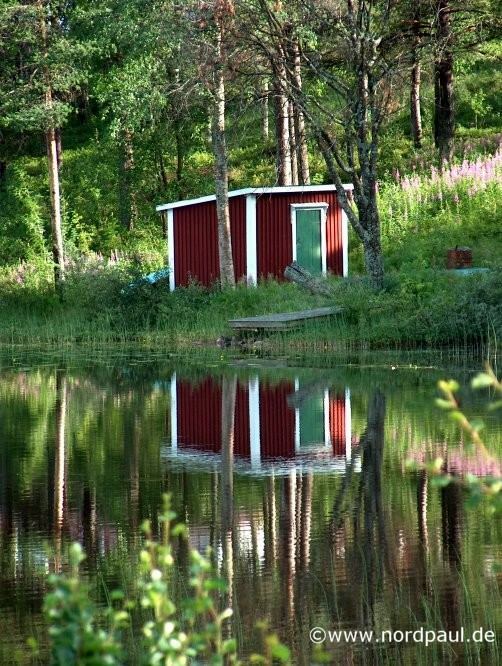 During the journey I saw endless forests, many rivers and some isolated timber buildings. The Inland Railway makes food supply and experience stops again and again. 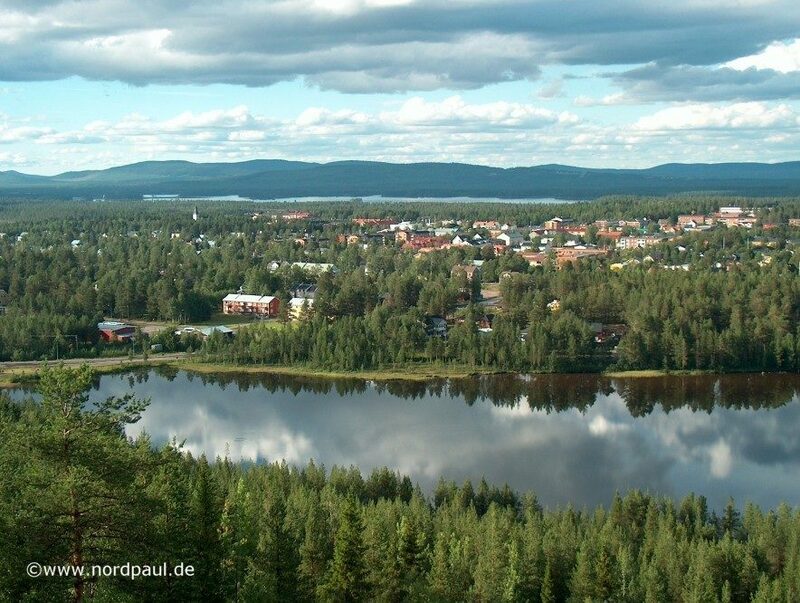 After some days in and around Arvidsjaur (Lapland, in Swedish Lappland) I went to Gällivare and then by the main train back to Stockholm. Nynäshamn is somewhat southeast of the capital. There I took the ferry to Gotska Sandön and later also to Visby. Return journey: again via Stockholm and Malmö to Berlin. 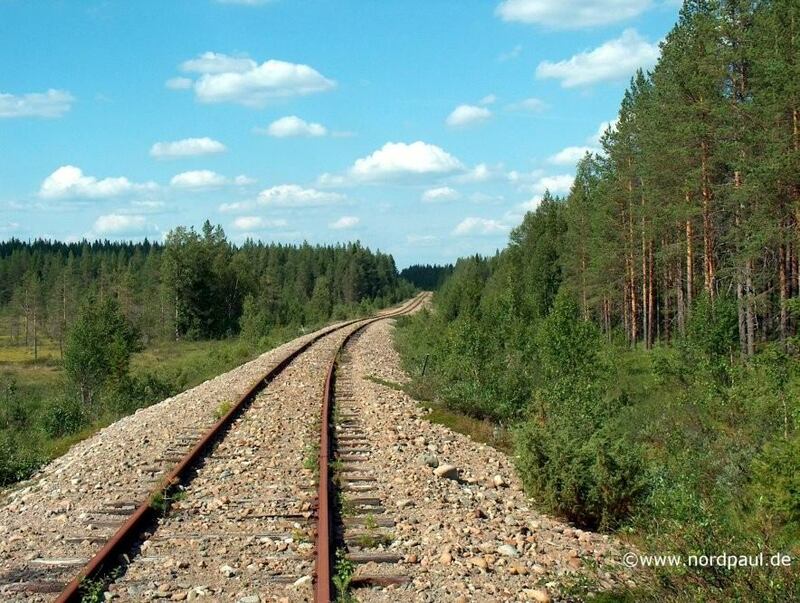 On the inoperative railroad line between Arvidsjaur and Jörn you can take an inspection trolley to explore the nature today. The tourist office in Arvidsjaur offer the trolleys (one person plus luggage) for only 160 SEK per day (about 18 Euro in the year 2003). The passable distance is over 75 kilometer long. 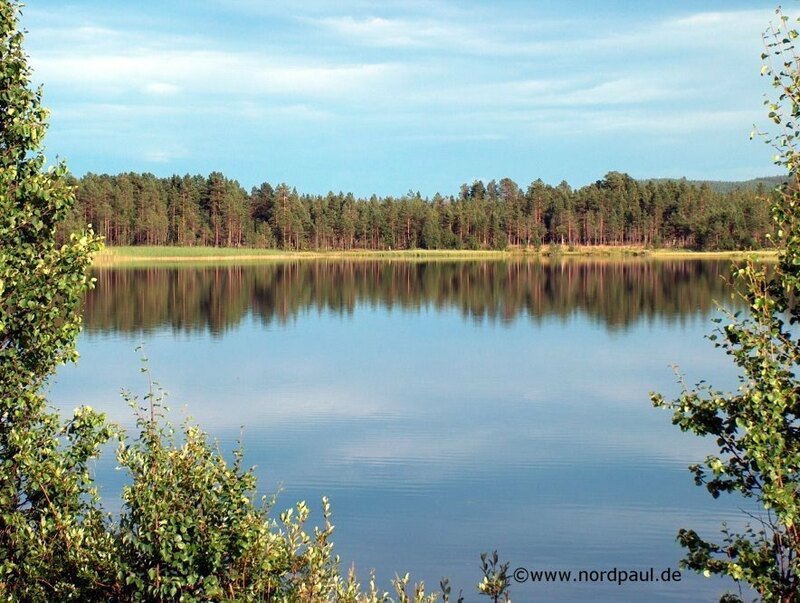 I spent four days for going to Jörn and back again and also for being in the nature and taking a bath. 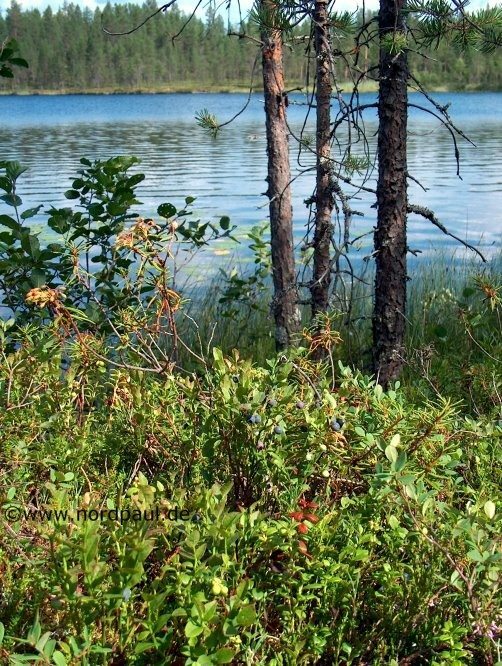 On my way I camped at calm lakes. 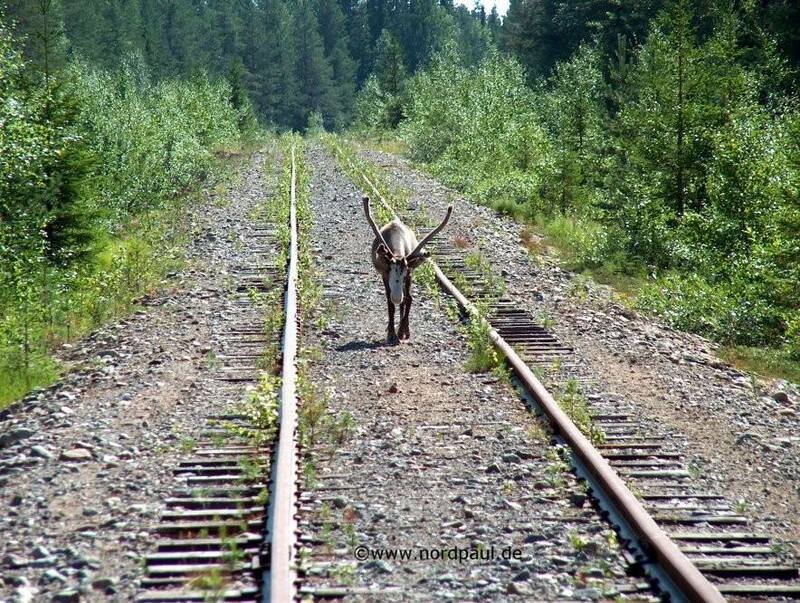 In these days on the trolley I saw more reindeers than humans. After arriving in Gällivare I went with a guided bus tour down in the ore mine Malmberget. 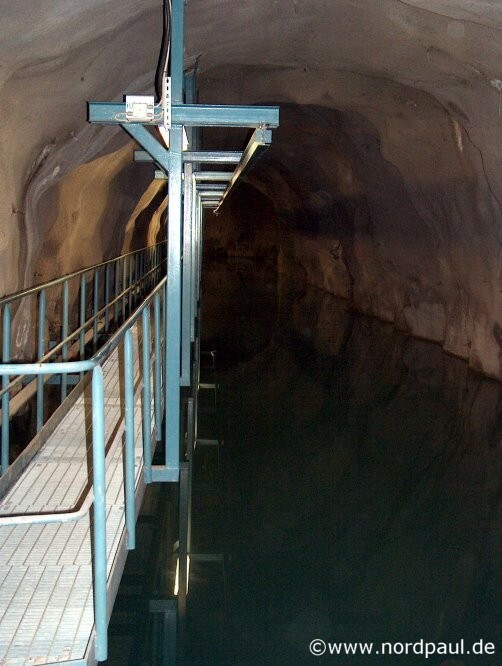 Four hours in the deep tunnels of the ore mine cost 200 SEK. The deepest visited place was unbelievable 1050 meter under the surface!! 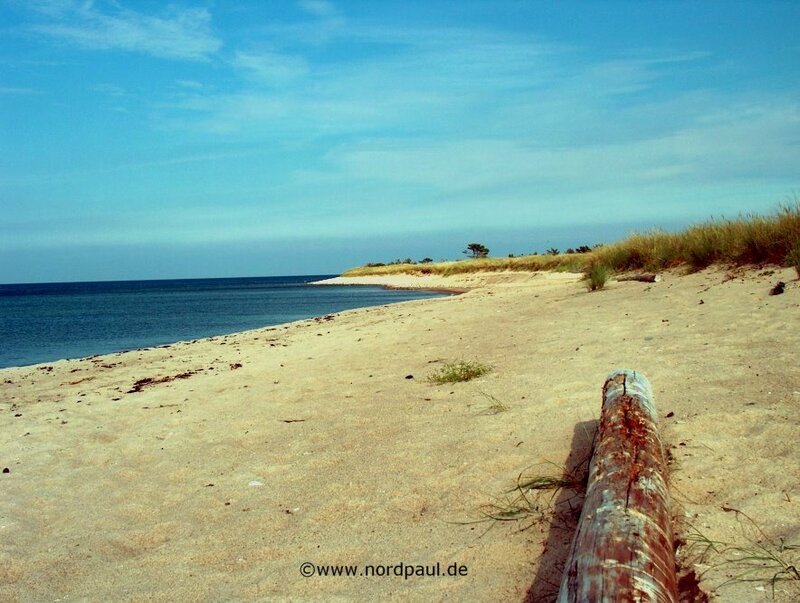 Gotska Sandön is the visible part of a long sand bank in the Baltic Sea. 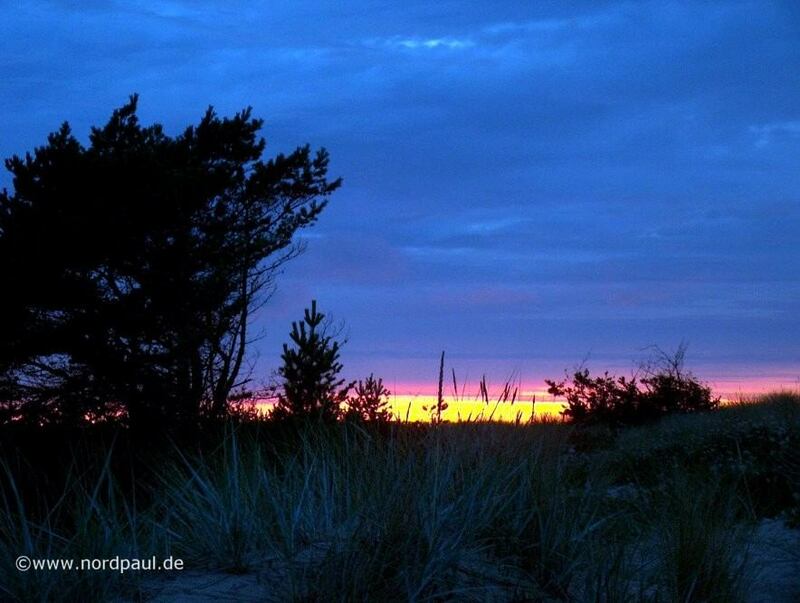 This sand island is about 38 km north of the Swedish islands Fårö and Gotland. It is nine kilometer long, six kilometer wide and at the highest point forty meter high. 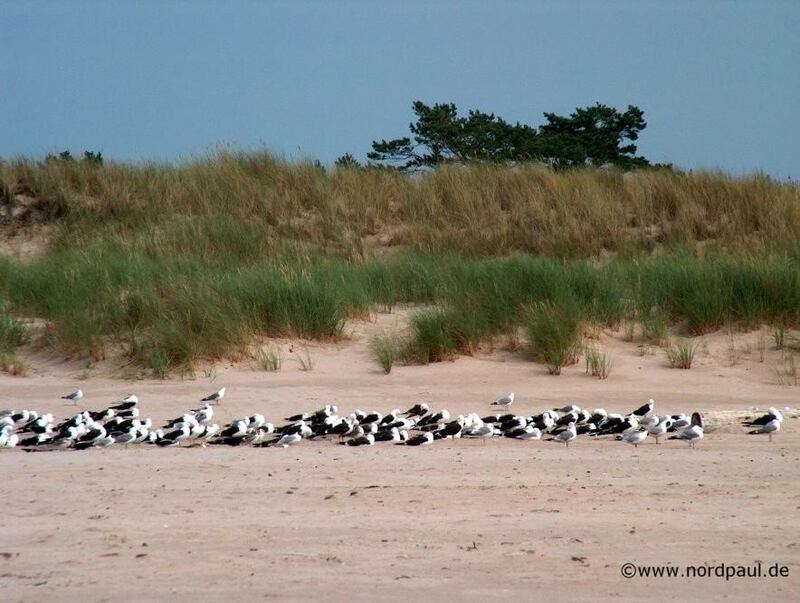 The entire island is a National Park and consists only of coniferous forests and sand beaches. 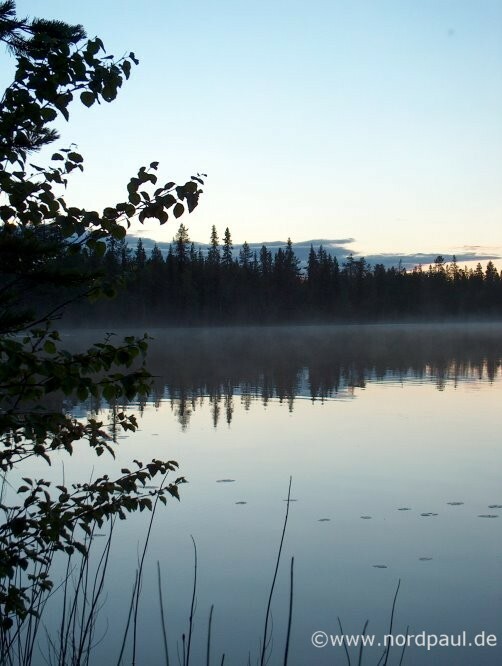 It is only permitted to pass the night in the north on the campground or in huts. You find there drinking water and a kitchen house, but no shop or kiosk. 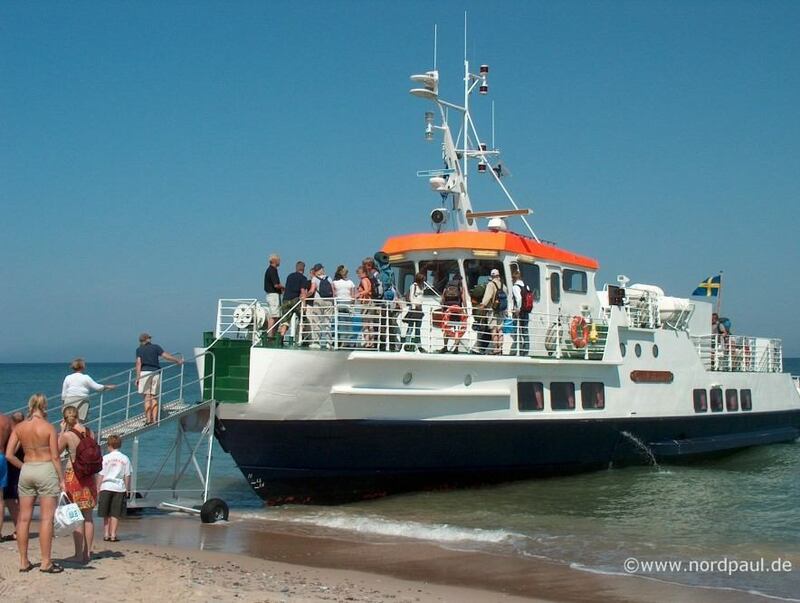 Three or four times the week a ferry goes to Nynäshamn and Gotland in the summertime. Because of no port or landing-place the ship has to, depending on the wind direction, drive "up" on the beach somewhere at Gotska Sandön. 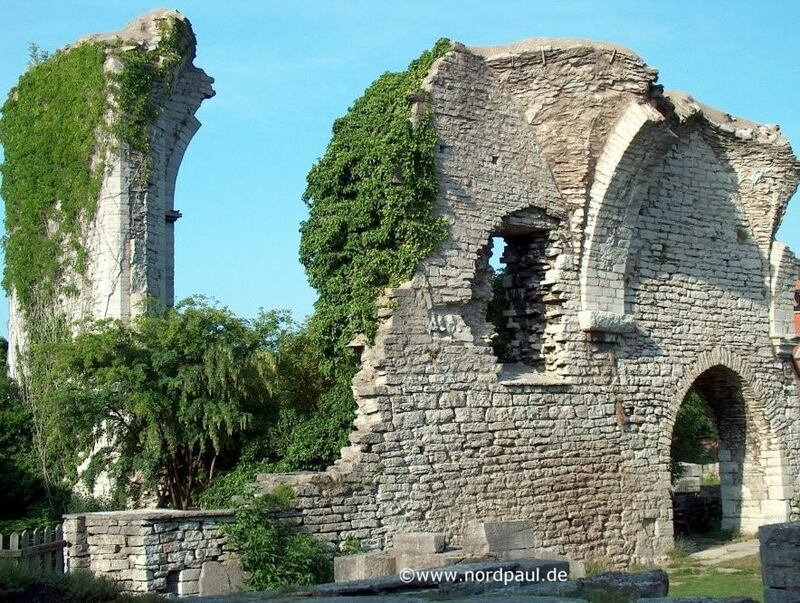 The old Hanseatic city Visby is located at the west coast of the island Gotland. The city was developed especially in the 12. and the 13. Century to one of the most important cities at the Baltic Sea. 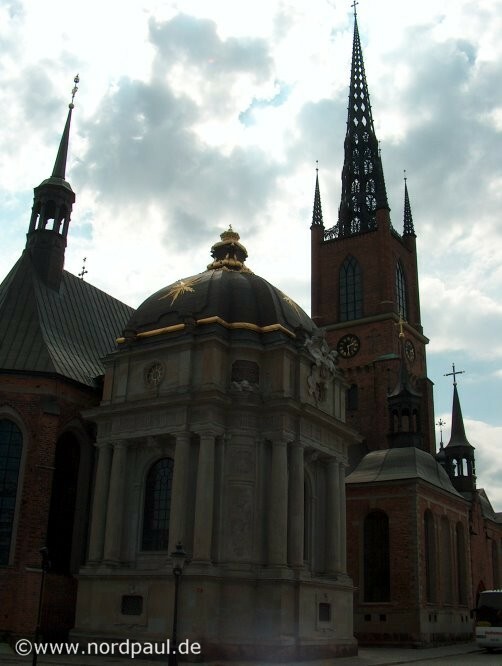 In this time also many churches and stone houses and the city wall were build. Some Centuries later many buildings were damaged or just out of use. In the 19. 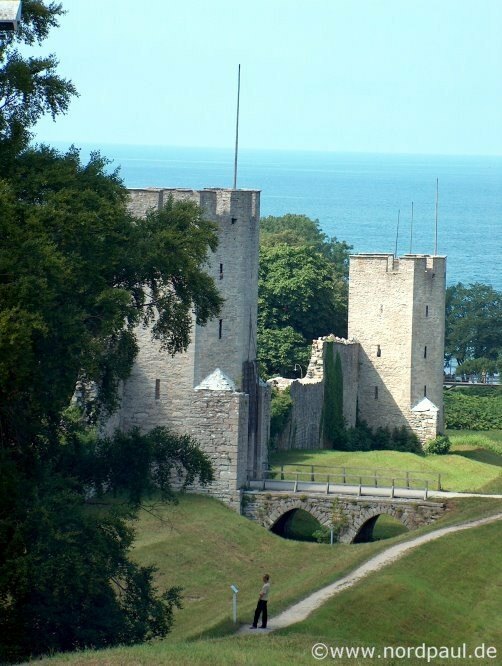 Century Visby revived and in 1995 it was put on the UNESCO list of the World Heritage. 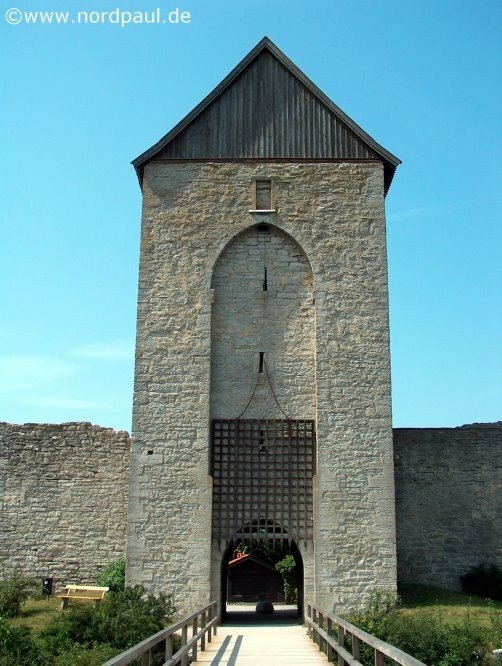 The 3.5 kilometer long city wall is a typical sight of Visby. It consists of limestone and is about eleven meter high and still kept nearly complete. Three main city gates and more than 50 towers a parts of the city wall. Barrier ditches in the east and the Baltic Sea in the west support the defense function. 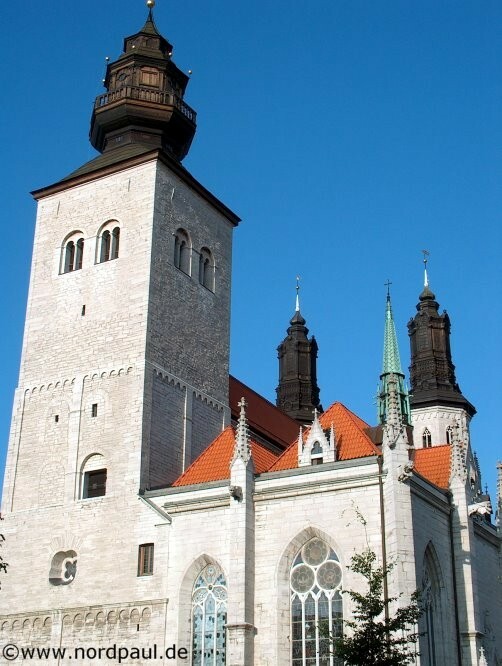 Within the city wall you find thirteen churches. But only the Dome Cathedral Saint Maria is in use. All the other church buildings are only ruins - but often kept in a good condition. On the return trip from Sweden to Berlin I had few hours in Stockholm and Malmö to visit these cities. 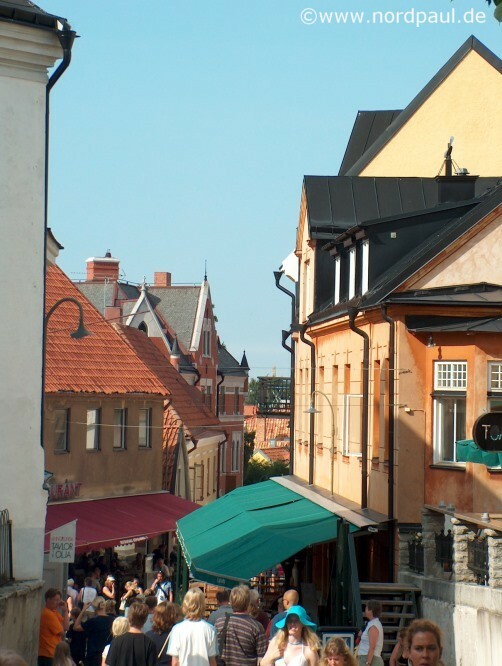 In Stockholm I was one more time at the old town island Gamla Stan. 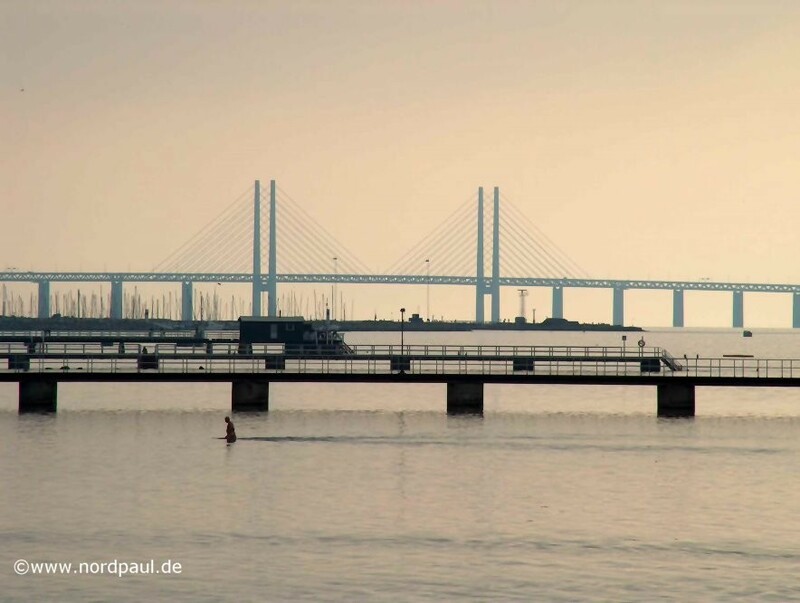 In Malmö I went to the southwest beach and was I looking at the Öresund bridge and the sunset over the calm Öresund. 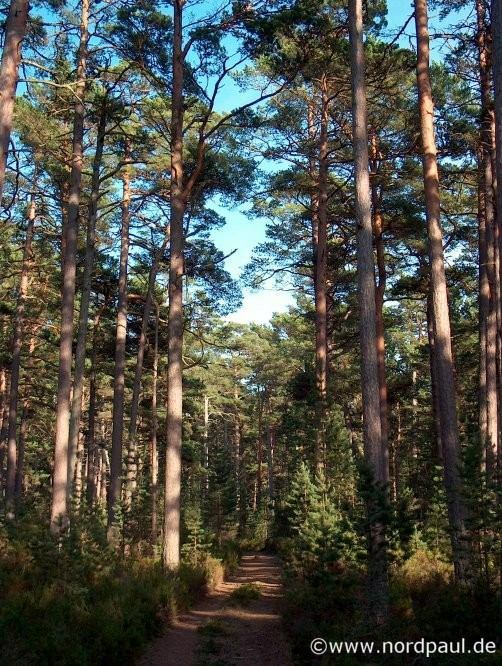 This tour was an interesting kombination of being in the wide forests in the inland of Sweden on the one hand and having a good time at the Baltic Sea and in the old town Visby on the other hand. If you want you can correct my English because it is not my native language.